Today things were on the whole, less frustrating. Traffic was easy, I managed to "cook" dinner - although some conveniences were used in the process. I am picking my way through some writing/editing at work, and I am waiting on some feedback to see if I'm close to hitting the target - a target, that by the way, will not stop moving. For crying out loud! One of my colleagues brought me a copy of an in-flight magazine because it had an article about Daveed Diggs in it. 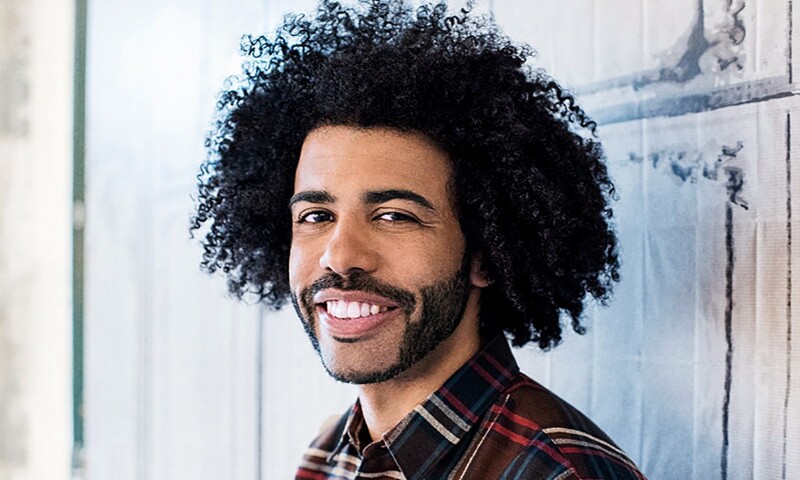 He originated the roles of Lafayette and Jefferson in Hamilton. I have a massive crush on him. He has gorgeous hair. I mean, I covet that hair. He had a brief stint as Johann, Rainbow's brother, on Black-ish. I have GOT to catch up on that show. It was a great little article, and there were a few other pieces in the magazine that I enjoyed. I have kind of missed travel. There, I said it. I should get to hit the road a little with an upcoming contract - should be interesting. Patience, grasshopper. I went to lunch with co-workers. We stood in line for about ten minutes, and the woman in front of us could not figure out what to order. Even with a ten minute headstart. I ended up taking a picture of her scrutinizing the menu and putting it on Facebook. Apparently, my pet peeve is the peeve of many others. All of this to say, it's nice to feel some connection. I've been feeling kind of out of sorts as of late. I know a lot of that is because I haven't been eating right, sleeping either too little or too much - you know - the usual. I could use a massage, some fruit and vegetables, and a few trashy magazines. Find out what the celebs are up to. I really need to make a point of getting to Atlanta. I haven't been in awhile, and I'd like to benefit from the amenities my hometown has to offer. Like, IKEA for example. They pulled out of the one they had planned to build here later this year. Devastating. Plus, tons of good shopping - and Mom could use a visit. I'm not a monster, people. Basically, I need time. And right now, I have no idea what the next 10-12 weeks will bring. Plus a lot of petting Piper. Because that's the best.